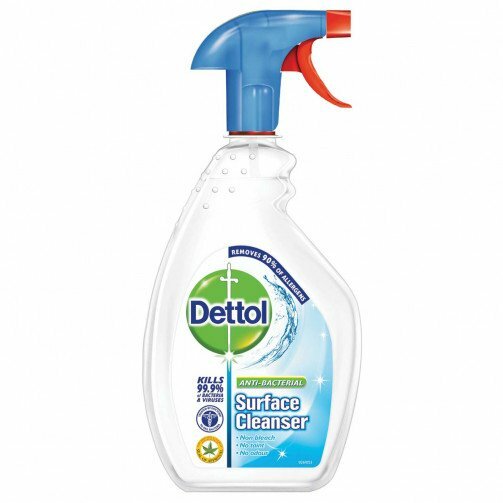 Dettol Antibacterial Spray in a 500ml trigger spray bottle. Leaves no smell or taint and is safe to use where food is prepared. No need to rinse. 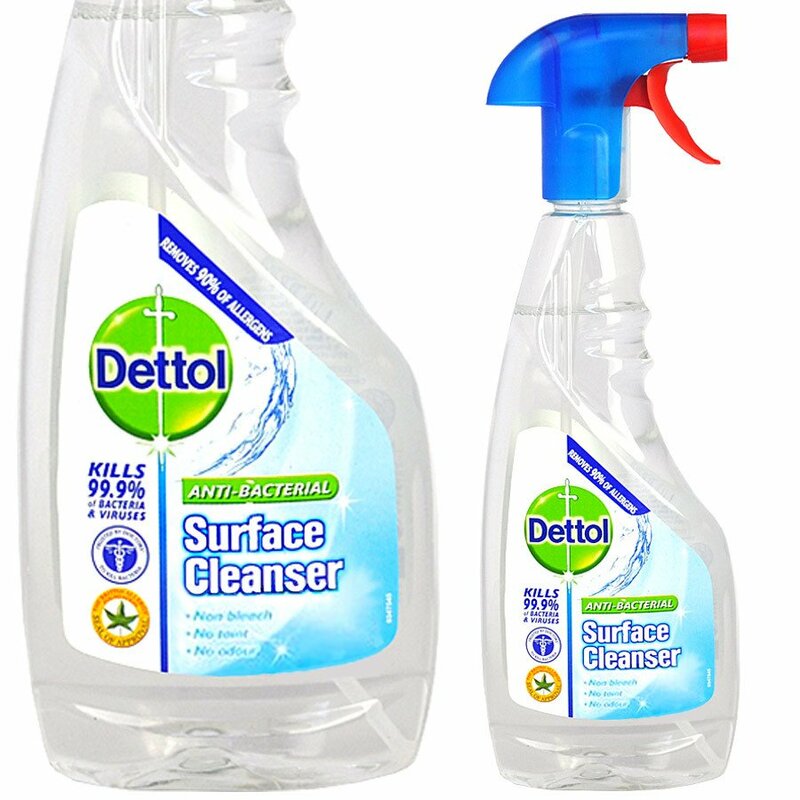 Cuts through grease and kills germs which cause bad odours. Leaves surfaces sparkling and hygienically clean. Use on kitchen work tops, chopping boards, refrigerators, microwaves. Baths, taps, wash basins, toilet seats, shower liner/ curtains. Use on baby's highchair, potties, door knobs, changing mats, playpens. Not recommended for use on windows, mirrors, fabrics, painted or varnished surfaces. Do not use with detergents or other disinfectants. Avoid contact with plastic baby bottles which can crack when being steam sterilised after contact with household cleaners. Do not allow this product to freeze during storage.